The United States and NATO are working together to counter the biggest threats to European security -- violent extremism and Russian destabilization efforts, Army Gen. Curtis M. Scaparrotti, the commander of U.S. European Command, said here today. "Together with NATO, the U.S. has made significant progress,” he said, "but we have much work to do as we execute our National Defense Strategy, fielding an increasingly lethal, agile and resilient joint force in long-term strategic competition with Russia and ready to counter violent extremists organizations." "Russia is carrying out a campaign of destabilization to change the international order, fracture NATO and undermine U.S. leadership around the world," he said. "To this end, Russia is advancing asymmetric capabilities in accordance with its concept of warfare, which envisions the employment of the full spectrum of military and nonmilitary power." "I am proud to report that the alliance is strong, it is unified and it’s committed to being fit for purpose," the general said. "Our European allies and Canada have turned the corner on defense spending with increases in each of the past three years." “The allies are committed to this fight and their support is essential to ongoing counterterrorism efforts," he said. 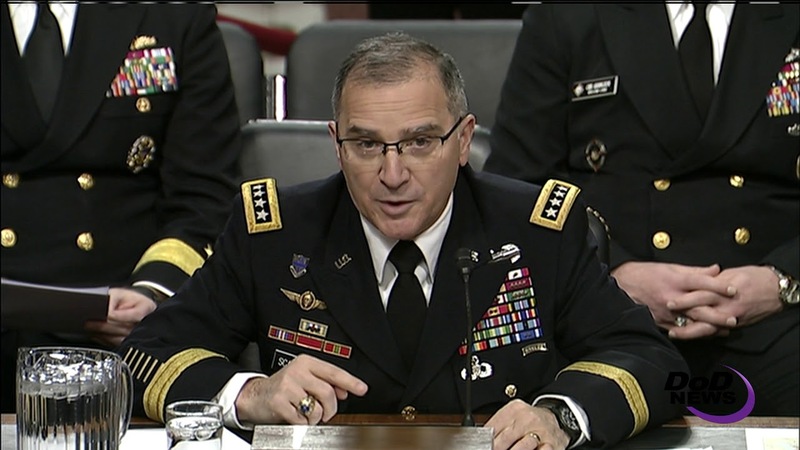 “While the defeat ISIS coalition, which includes NATO, recovers seized territory in Iraq and Syria, ISIS remains active and seeks to expand its operations across Europe," Scaparrotti said. The general thanked Congress for funding Eucom, singling out the European Deterrence Initiative as particularly critical to the command’s "significant headway in establishing a defense posture that is credible, capable and relevant to our strategic objectives."